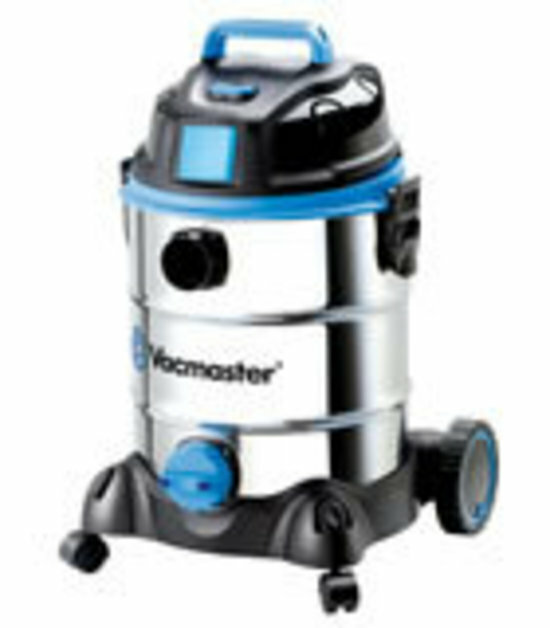 Why Choose A Vacmaster Vacuum? VACMASTER EMPOWERS YOU TO TACKLE ANY TASK, THROUGH INNOVATION – Bag, Cartridge and Hepa filtration all come standard with your industrial series Vacmaster to give you the best result. 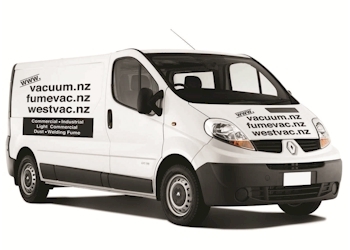 VACMASTER IS BUILT TOUGH TO GIVE YOU A LIFETIME OF RELIABILITY – Stainless steel tank, Heavy duty castors and Anti crush hose are the features you need to keep you going when the going gets tough. 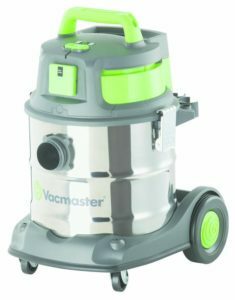 VACMASTER IS DESIGNED SMART TO GIVE YOU EXCEPTIONAL VALUE FOR MONEY – Through design excellence and factory innovation Vacmaster brings you quality product with a price advantage. 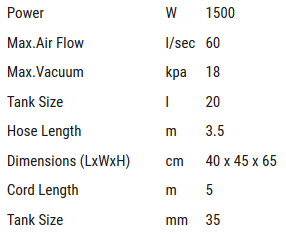 Wet & Dry Vacuum Cleaner – PDF brochure. Vacmaster 2 in 1 Wet / Dry vac with 35mm accessory system. 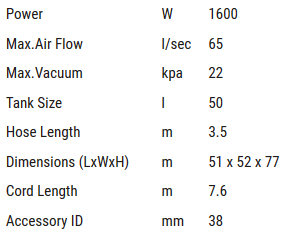 Compact, yet powerful 1500W wet/dry vacuum cleaner with built in outlet socket for powertool connection. Function switch for synchronised start when external power tool is turned on. Durable, 30L stainless steel tank, onboard accessory storage and large rear wheels for easy portability. 5m powercord and 2.5m secure fit hose. Extra large drain for fast emptying. Accessories include: Secure fit hose, power tool adaptor, crevice tool, combo brush, 2 x extension wands, cartridge filter, foam filter. Vacmaster 2 in 1 Wet / Dry vac with 35mm accessory system – PDF brochure. 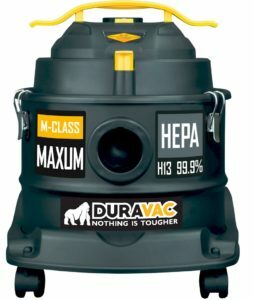 HEPA exhaust filtration (Optional) . Durable, 20L stainless steel tank, onboard accessory storage and large rear wheels for easy portability. 5m powercord and 3.5m hose. Accessories include: Secure fit hose, crevice tool, combination brush floor tool, 2 x metal extension wands, washable cartridge filter, foam filter, cloth pre-filter bag. 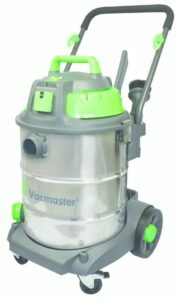 Vacmaster 2 in 1 Heavy Duty Wet / Dry vac with 38mm accessory system – PDF brochure. Powerful 1600W with built-in outlet socket for powertool connection. Durable, 50L stainless steel tank, onboard accessory storage and large rear wheels for easy portability. 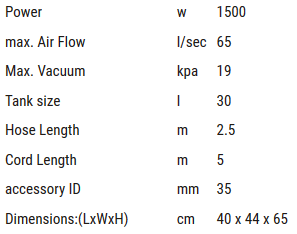 7.6m powercord and 3.5m secure fit hose.